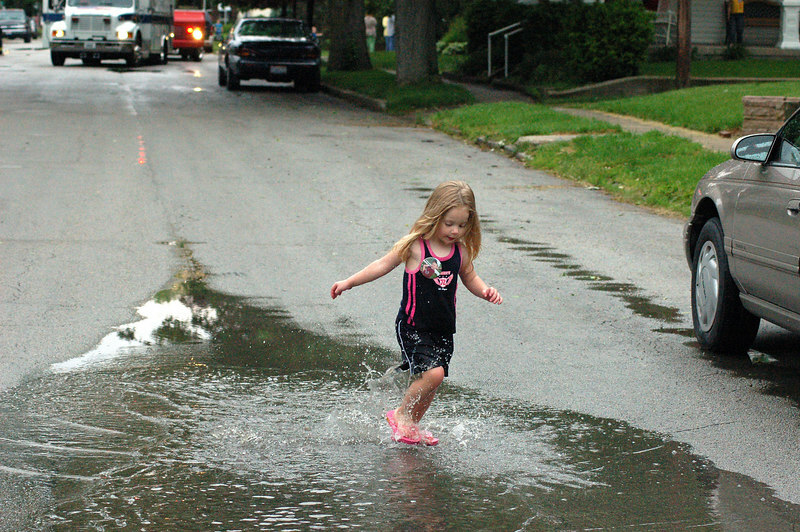 This little girl found that jumping in a water puddle on a closed street was more interesting than the fire and EMS vehicles parked behind her. Lightning from a severe thunderstorm struck three houses in her neighborhood. 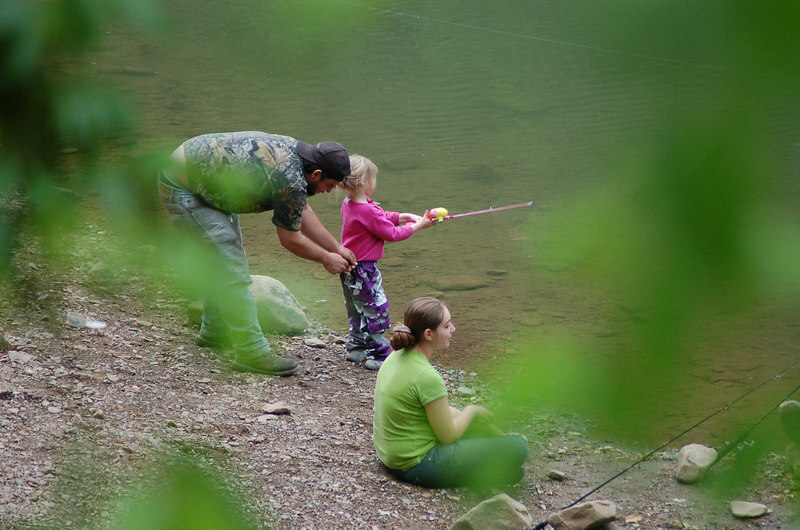 This young lady was the 'ultimate fisherman' on the New River in West Virginia. She was so busy casting and reeling in, that she didn't notice that her pants had fallen down! But dad came to the rescue and fixed the situation, though I don't think she noticed... she never missed a cast the whole time.